Tradition home decorative hanging bell. Antique design show hanging bell. 99.9% 24ct Gold Foil Plated Envelope. These are High Quality and very Durable as the Yellow metal stands for. 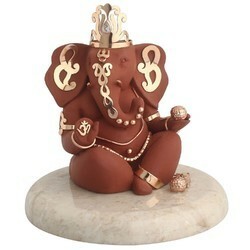 Decorate your room or office space by placing this glass made, square-shapped Ganapati showpiece. 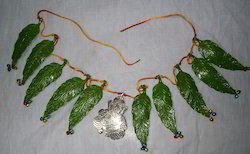 - Ganesh idol for Good fortune, Good health and long life. - Idol for keeping in Cars, Pooja Room, Shops, Office. - Best Gifting Option this Season. Our range of gift items are traditional in nature. We manufacture all the gift items made of silk fabrics, coins, shanks, mirrors which reflects Rajasthani culture.